Travelling Brits are willing to fly from remote airports and endure one or two connections if it means cheaper fares, research reveals. TripAdvisor's annual air travel study, which asked 9,000 British holidaymakers about their preferences and habits, shows that nearly a quarter of them would be prepared to put price ahead of convenience. A third, meanwhile, would be ready to sacrifice refreshments for an entire flight in the name of securing a cheaper fare. But Ryanair, which specialises in budget flights with limited on-board services, has fallen down the pecking order when it comes to the nation's list of favourite airlines. The Irish carrier, which is headquartered in Dublin, was voted the worst airline in the UK, taking nearly half of all the votes polled (49%). British Airways, on the other hand, topped the popularity poll with nearly a quarter of the vote (23%). Previous experience of flying with an airline is one of the three most important factors when choosing flights, according to the poll, while more than three-quarters (76%) of Brits claim legroom is the in-flight amenity they could not do without. Just 6%, however, name in-flight entertainment options as the most important amenity and 3% name meal options. Duty-free shopping is the least favoured convenience of a flight, either long or short, taking less than 1% of the vote. More than half of British travellers have experienced flight delays over the course of the past 12 months and, of those, one in six (15%) had to put up with delays that lasted more than six hours. Yet, despite the high number experiencing delays, only one in 10 chose to claim compensation via their travel insurance. The good news for travellers is that, for those who did make a claim following a delay, two-thirds received compensation successfully. 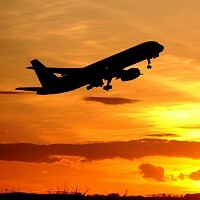 Holidaymakers should take the time to purchase travel insurance before they jet off.